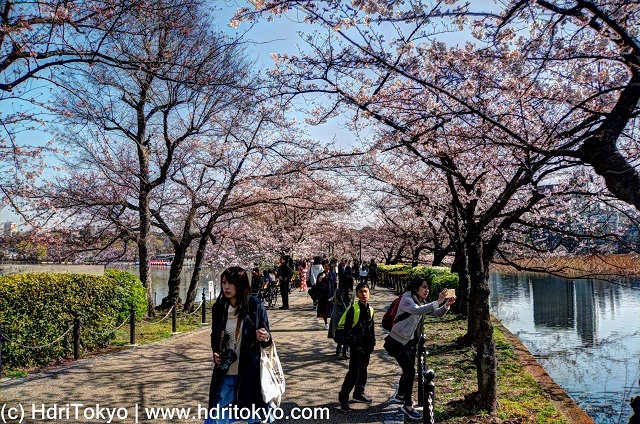 Shinobazu pond is divided into three parts by this path. 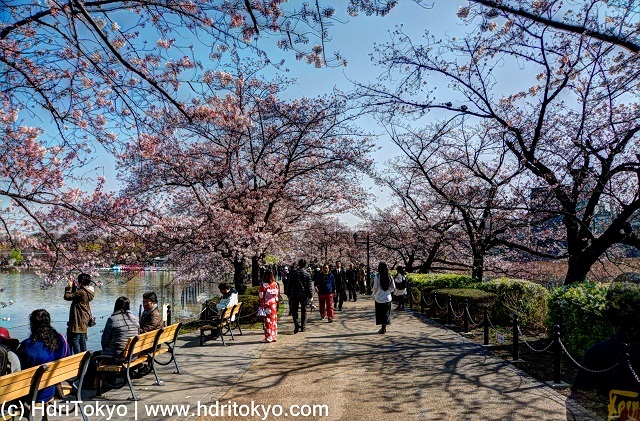 Yesterday, I strolled on the promenade viewing cherry blossoms. Those cherry blossoms were just before full bloom. It was Tuesday morning, and it was less crowded than I had anticipated.